Our business is all about creating outcomes for our clients. Whether they want to communicate with a new target audience, to demonstrate their products or services through professionally designed, written and built websites or to generate more leads, enquiries or sales, everything we do is tailored to the individual needs of the organisation. What is Marketing Manager 360? 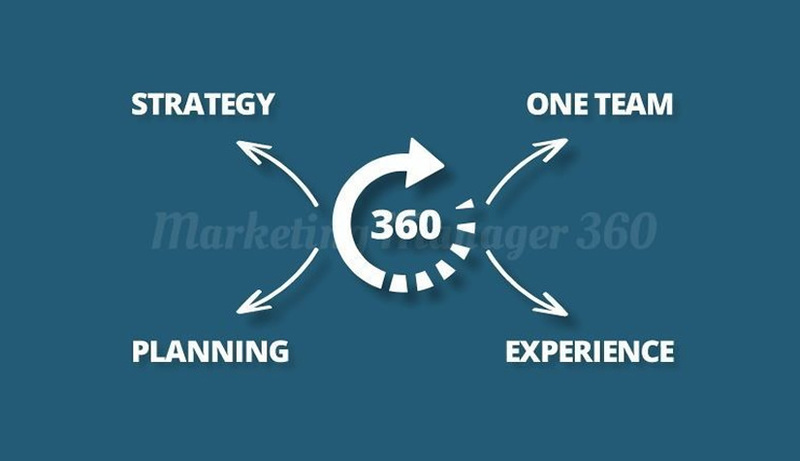 Marketing Manager 360 is our complete outsourced marketing service. We work with clients on every aspect of their marketing, from defining and refining their brands to developing and implementing strategies with design, web and content expertise – all designed to suit our clients’ businesses. There’s no ‘one size fits all’ approach. Through our close partnership working, we identify what our clients need and what will help them to stand out in what can often be highly competitive industries. We’ve worked with Prospect, a local engineering company, for a number of years on website design and development. For around 18 months, Prospect has been a Marketing Manager 360 client, allowing us to work with Prospect’s team in-depth, looking beyond just the website management to create a marketing strategy that would help them to grow. Our brief was simple; to make the business more profitable, with more leads, enquiries and higher-value business that would help them to grow and attract end-user customers. We started with a full review of the business and its brand. We identified what made Prospect unique in its marketplace and the areas we could exploit in order to help our client stand out against its competition. We also looked at Prospect’s operations. It’s important to us that our clients are able to manage the additional business we hope to bring them, so we developed Prospect’s ordering, quoting and logistics processes. All Marketing Manager 360 clients benefit from regular contact with our Marketing Managers, trusting us to look after all aspects of their business’ marketing and allowing them to get on with their day job. It’s a great way to work, and we love supporting clients so closely so that we understand what they’re looking for. We’re really proud of the work we’ve done with Prospect, and with our other Marketing Manager 360 clients. Outcomes are essential to us; what we do delivers more leads, enquiries, sales and improved profiles, and we’re always striving to get bigger and better results. Delivering all marketing and creative services under one roof enables us to closely manage our clients’ strategies. We’re trusted with this vital aspect of client businesses, and we love seeing how what we do makes a difference. Find out more about Marketing Manager 360!